Unfortunately, there is no agreement in the literature either on the composition or on the time of origin of the earth's original atmosphere. Evidence for the composition of the atmosphere at earlier times comes from a study of objects that were formed in contact with the atmosphere at those times. These objects may have changed since, but they still provide us with clues about the conditions existing when they were formed. The earliest such objects in existence are sedimentary rocks about 3 x 109 years old. It is believed that these rocks could not have been formed without prior atmospheric weathering, or without large amounts of liquid water. Therefore, water was probably present in the primitive atmosphere. On the other hand, the compositions of these and later rocks indicate that the atmosphere could not have contained much oxygen before 1.8 x 109 years ago. Also, the relative rarity of carbonate rocks such as limestone and dolomite among the oldest sedimentary rocks seems to indicate that bases such as ammonia cannot have been abundant in the primitive atmosphere. The presence of ammonia would have increased the pH of the primitive ocean and thus favored an abundance of carbonate rocks (see Chapter 9). Furthermore, in the absence of atmospheric oxygen and ozone, methane and ammonia would be rapidly dissociated after absorbing high-energy ultraviolet radiation. In this chapter, therefore, we shall assume the absence of large amounts of CH4 and NH3 from the primitive atmosphere. According to another school of thought, however, CH4 and NH3 must have been present in the primitive atmosphere, and evidence presented thus for for their absence has been insufficient. Moreover, experiments have been performed to show that an atmosphere dominated by CH4 and NH3 would be suitable for the evolution of complex organic molecules. Discussion of these conflicting viewpoints is beyond the scope of this book. 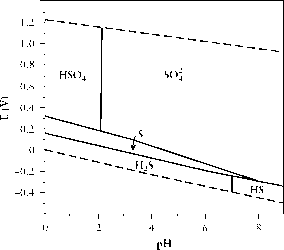 A combination of the geologic record and the present composition of the atmosphere, along with some reasonable conjectures, leads to the conclusion that the primitive atmosphere probably contained N2, H2O, and CO2 in approximately their present amounts plus a small percentage of H2 and a trace of oxygen. Volcanic gases contain H2O, CO2, SO2, N2, H2, CO, S2, H2S, Cl2, and other components. Of these, H2O is the most abundant, followed by CO2 and SO2 or H2S, depending on the volcano. Presumably, in the distant past, there was more volcanic action and thus the earth degassed somewhat faster than at present. The rate of "degassing" of the earth has varied throughout its history. The earth at present is emitting mostly water vapor and carbon dioxide, some nitrogen and other gases, and no oxygen. These data must be reconciled with the composition of the atmosphere as given in Table 2-1. Calculations3 indicate that the total quantity of water vapor released by the earth over all time is about 3 x 105 g/cm2 averaged over all the earth's surface. Most of this water vapor has condensed and is presently in lakes and oceans. The oxygen now present in the atmosphere has probably arisen from photosynthesis after the evolution of green plants. 3F. S. Johnson in S. F., Singer, ed., Global Effects of Environmental Pollution. Springer-Verlag, New York, 1970.